Here's a half-finished Owl for you. With just a few pencil lines on fabric to roughly mark the outline and the eyes, I started embroidering. 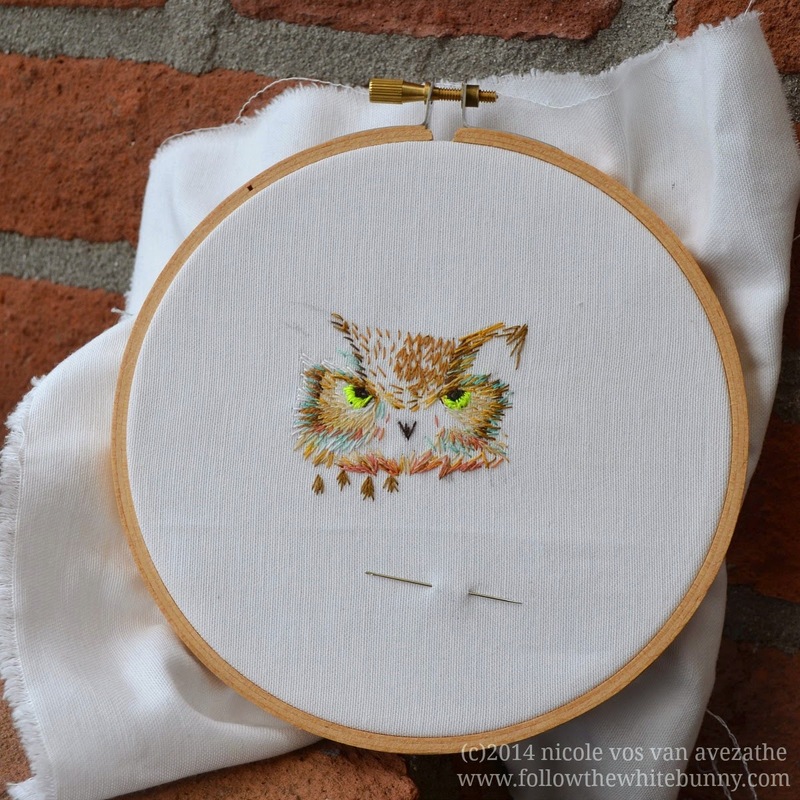 Although I started this piece stitching a quite natural looking Owl, I added some not non-natural colours along the way and I'm glad I did. How did you restrain yourself from smuggling that little owl home in your pocket? So, so cute. I want to pet an owl!!! I love your little stitched one, those fluorescent eyes are so great!